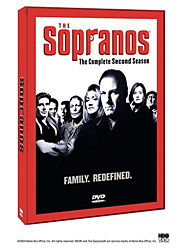 On disc 4 go to the "Special Features" menu screen and select up (or down) until an outline of a Bada Bing Women shows up in the lower right hand corner. Select and you will go into a short montage of sound bites from the show with the words highlighted on the screen. Go to the main menu screen, select left (or right) until an HBO logo shows up. Once selected the DVD credits are shown.